Julie's Creative Lifestyle: MM - Giveaway Winner & Sunscreen! Diane please email me your name and address using my contact form on my sidebar. Diane blogs at Lavender Dreamer where she shares her everyday life in beautiful sunny Florida and Western North Carolina. If you get a chance please take a look at her lovely blog. A BIG THANKS TO EVERYONE WHO ENTERED TO WIN THIS GIVEAWAY! Also a special thanks to the new followers who joined my blog! I really enjoyed and had fun reading each every one of your lovely comments. Now onto my Makeup tip for this week. My makeup tip that I want to share with you this week is sunscreen. Sunscreen is so important to use now that the weather is getting warmer for spring and summer. It's important to wear sunscreen lotion before you apply makeup or you can use foundation, BB, or CC cream which has sunscreen in it already. It's also important to wear sunscreen when going to the beach or doing any outside activity and applying it throughout the day. It is so easy to get a sunburn when you do not use any type of sunscreen lotion. There are so many different brands of sunscreen available and I like to use Neutrogena and Coopertone. The SPF I usually like to use is SPF 15 to SPF 45 and I use a separate one made especially for faces. 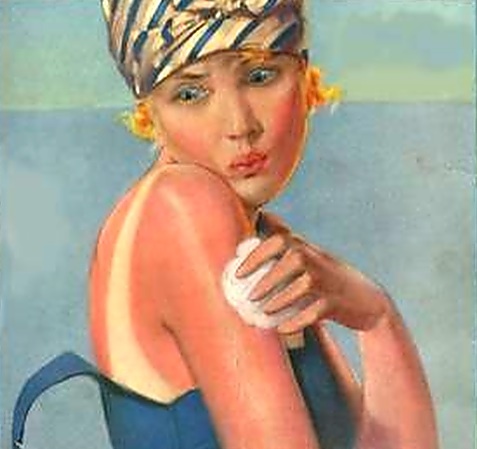 What sunscreen lotion do you like to use? 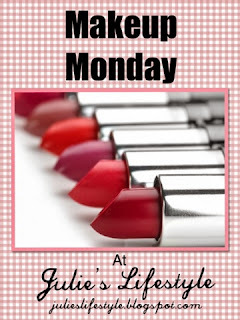 If you missed any of my Makeup Monday's you can find them HERE. Thanks everyone for stopping by and see you all next week on my Makeup Monday Series. PS We take sunscreen serious here in Florida. I always wear it at the beach but I'm surprised at how much sun I get even on hikes. I have a farmer's tan from hiking! lol Hugs! Woo hoo! Congratulations to sweet Diane :) Have a lovely day, my friend! Having spent the last 13 years in Florida before moving to Texas, I understand the need for sunscreen. We always took the advice given that you put it on in the morning like lotion, even if you're not going to the beach. The sun can still do major damage through windows or just being outside at the park for a little while. We usually bought Coppertone or Bullfrog, and I've always used a foundation with sunscreen in it. Congratulations to your winner! I just found some neutrogena BB cream moisturizer and sunscreen (30 SPF) that I really like. It's tinted, so I can skip foundation too! Another thing I'm realizing is that I need to put sunscreen on my hands even when I'm just running errands. Have a good day Julie! I'm always on the look for a good sunscreen. Not that we need it much in Seattle! Thanks for the post. Sunscreen is a MUST, but in Greece, where the sun is strong for 9 months out of the year, it is indispensable!! Congratulations to the winner! I've just been using Coppertone. It works great for face & body and has a high SPF. I have to wear sunscreen and sometimes even a hat if out long enough. Congrats to Diane on the win! I used to keep sunscreen in the baby bag so I'd always have it, but now that the kids are over, and we had such a long winter, I'm going to have to do something to remind me to take it along!! We use several types, Coppertone for the littles. © Julie's Creative Lifestyle: MM - Giveaway Winner & Sunscreen!